Our chicken and ducks are free to enjoy the outdoors during the day, get locked up at night for protection against predators and eat a vegetarian diet of Non-GMO grains and pulses that contain no animal-by-products, fishmeal or hormones. They also do not receive routine antibiotics or growth promoters, however we refuse to let a sick animal suffer if it can be treated with the relevant antibiotics available to us. We also supply the chickens with Sunflower Seed as scratch in the morning, this encourages them to get out of there coops and make full use of their range. When available, which is most of the time, we supplement all poultry with Vegetable Offcuts and Purpose Grown Herbs. This makes for healthier animals and higher quality eggs. The ducks are let out at 09:30am every morning, as they have all laid their eggs by then. They are then free to make use of the Irrigation Dam for the rest of the day, which they do with great relish, after which they then bring themselves home at dusk. Another issue very important to us is that of Heritage Poultry Breeds. We currently make use of the New Hampshire Red (USA) and Boschvelder (RSA) Chicken Breeds as well as the Khaki Campbell (UK) Duck Breed. 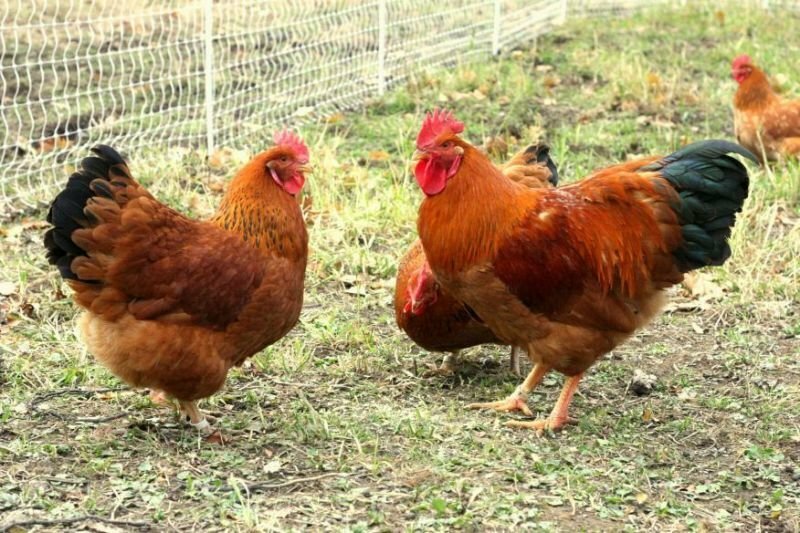 We currently still have a flock of Lohmann Brown Hybrid laying hens, but these will be phased out in 2019 to concentrate purely on Heritage Breeds.